While discussing Name of the Year with friends who are not (yet) NOTY enthusiasts, we often encounter the same questions: "Are these people real? Do you think they care?" And, with a smirk, "have you read that Freakonomics chapter on naming?" In 2005, two men boringly named Steven and Stephen, an economist and journalist respectively, published a book that made social science research captivating and contrarian. Freakonomics forever altered how many BA-toting Americans understand drug dealers’ salaries, pay-what-you-want products, deceitful sumo wrestlers, and the utmost importance of names. With millions of copies sold, the book begat a blog that begat a brand, and Freakonomics’ insights became conventional unconventional wisdom among the type of people who read the New Yorker. The book’s final chapter, which covers how names change life trajectories and opportunities, centered around an anecdote of two brothers - Winner Lane and Loser Lane. Loser found a life of repeated success: scholarships for private high school and college opened the door for him to become a sergeant in the NYPD. Ironically, his older brother Winner has spent most of his adult life cycling in and out of incarceration. What, then, is predestined by a name like Lancelot Supersad Jr? On a midsummer night in 2014, Sir Lancelot (and, we can only assume, his companion Sir Robin The Not-Quite-So-Sad-as-Sir-Lancelot) held up a third-rate motel in Bridgeport, Connecticut. Soon after his arrest, blogger after blogger posted about the synergy between his last name, life situation, and stiff lower lip in his mugshot. Due to his incarceration, we cannot contact Mr. Supersad to gauge his feelings about how his name fits into Freakonomics’ model. 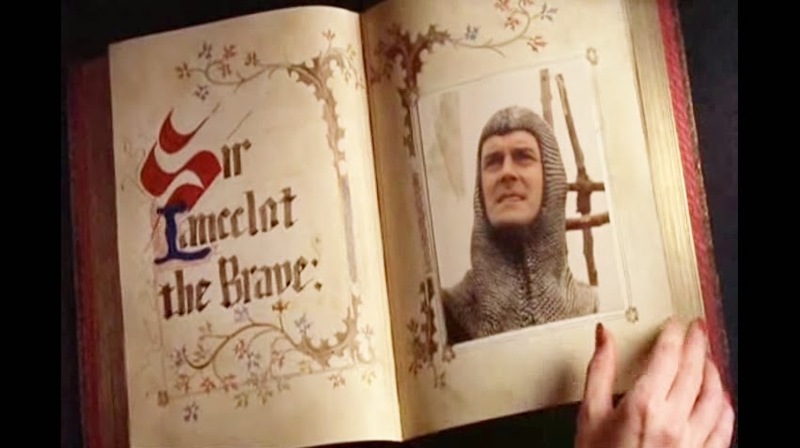 In addition, our attempts to find information about his father, Lancelot Sr., have been made doubly hard by the hullabaloo surrounding Lancelot Jr.'s arrest. Luckily, this father and son are not the world’s only true Supersads. NOTY 2011 saw the unprecedented run of Rochester medical illustrator and Sithole 15-seed Yolanda Supersad. Her relation to the Lancelots remains unclear, but she captivated voters with a stirring run to the Elite Eight. Elsewhere, rags-to-riches New York cabbie Rostant Supersad remains happy despite many a dumb joke from riders. He and his wife have gone from impoverished immigrants to Lexus-driving Long Island landowners. #3 Understanding Bush, who needed no recount against #6 I Made Mangku Pastika, vs. #2 Rev. Pierbattista Pizzaballa, who excommunicated #7 Swindly Lint. #1 Dr. Electron Kebebew, who scoped #9 Manmeet Colon, vs. #12 Flavious Coffee, who ground up #13 Joko Widodo. #3 Lancelot Supersad, Jr., who hath slain #6 Dallas Ennema, vs. #2 Jazznique St. Junious, who bopped #7 Baba Blumkin.